Thomas Bergersen’s, public album Invincible, open in another page to keep reading here. Darla’s actions in the following miniscule section tie with great harmony to the music shared here. 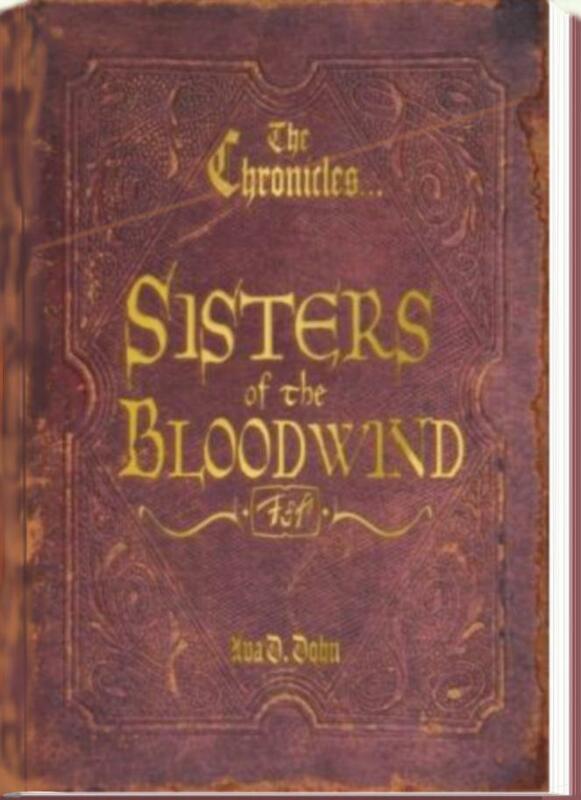 (Sisters of the Bloodwind, pp. 374 – 384) Please read and compare to see if your heart tells you the same thing. Euroaquilo promised he would keep it so. Darla slumped as if in remorse, tears welling up in her eyes. Resigned to her fate, she began her account. Darla’s mind drifted into private thoughts, she staring off into space as if reliving some particular moment in her life. When she realized what had happened, she tried to make excuse. Euroaquilo nodded politely, acting as though he had not noticed. He then commented about how warm the room was getting while handing her a kerchief to wipe her sweating forehead. Euroaquilo attempted to make excuse for Darla by calling attention to the fickle winds of war. “Give me a minute, please…” Darla excused herself and walked toward the back of the bridge and past the elevator. Euroaquilo believed he heard quiet sobs, but remained where he sat, waiting upon Darla’s privacy. Eventually the woman returned, sitting again, but remained silent for some time. Finally, through reddened eyes, she looked into Euroaquilo’s. Euroaquilo only nodded in agreement. Euroaquilo started to offer some comforting words. Nodding with understanding, Euroaquilo remained silent. He knew Darla was guilty of no sin requiring absolution, but he understood quite well the remorse and guilt that often floods a warrior’s heart when the winds of war allow that person life while it rips it away from so many others. Only now did he begin to understand why this woman never shared these dreams with him. If only recalling events by speech were ruining her so, how could she have survived the trauma that a dream share would produce? She broke down crying, releasing pent-up energies that had built up over these many years. Euroaquilo did nothing, keeping his promise, he fully understanding that ‘upon every soldier must the night watch fall’. Alone, the picket must stand the post, on to death or the morning light… It is the battle each sentinel must undertake. Darla sighed long and sad. She became quiet and morose to the point that Euroaquilo believed she had finished with her account. Darla groaned as she stood, her legs aching from sitting too long. She made her way back to the elevator, leaning over the rail to view the sights below. The DusmeAstron was equipped with multi-leaf safety hatches on each deck so that, spreading out like flower petals, the hatches would close off the elevator opening and seal the separate floors of the ship up tight. When opened, like it was now, the exposed parts of the hatch wings pulsed green with hundreds of tiny lights. When the lights began flashing red, it was a warning to stand clear the elevator shaft. Euroaquilo watched Darla from his officer’s chair. She was always so beautiful in form and comeliness, so concerned about how well kept she appeared. Yet today, the woman looked old, aged like the mountains, haggard. The long wars had not been nice to her, she having fought in nearly all of them. How many of her lovers and companions’ names were written now on the Silent Tombs? He pondered. She had lost so much, given so much, taken so much. Could her frail body continue to weather the persistent storms hurled against her? He shuddered to think of his visions and the coming Prisoner Exchange. Would that day be her ‘Armageddon’? Would she survive to tell of its passing? In time, Darla returned to her chair. Staring out the distant portal, she noticed that although the driving winds were diminished, the rains still ruled the sky. Looking into folded hands, she continued her account. “By the time I got control of the retrorockets, we were alone in the galaxy. . .
mention hat I Һave trulү enjoyed surfing ardound ƴour bloog posts. hoping үou writte once more νery soon! Thank you so much. I appreciate that you have enjoyed what is shared too.